Workers camping out in Mendiola held a ‘Black Friday’ protest in Mendiola Bridge in Manila to register unjust working conditions and government’s ‘anti-people’ policies. Already on its third day, the ‘Kampuhan Kontra Kontraktwalisasyon’ is a week-long protest camp near Malacañang Palace to bring workers’ demands closer to the Presidential Palace. Contractual PLDT workers join the ‘Black Friday’ protest in Mendiola. Photo by JC Gilana. PLDT and Jollibee workers express rage and dissent over contractualization during the ‘Black Friday’ protest. Photos by JC Gilana. Joining the protest camp are employees from Philippine Long Distance Telephone Company (PLDT), Jollibee Foods Corporation, Manila Harbour Centre, and UniPak manufacturer Slord Development Corporation. 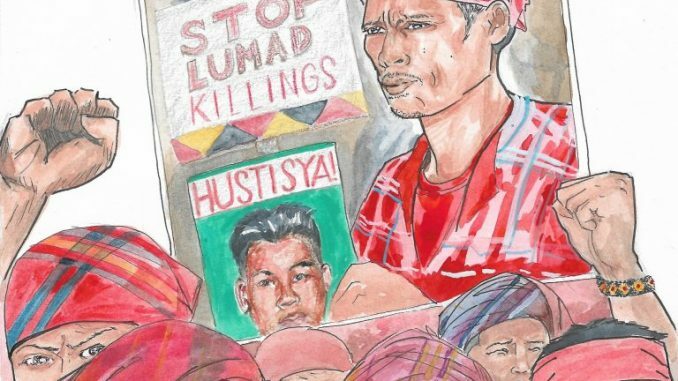 They had also been mounting protest camps in their respective workplaces before holding a joint protest camp led by Kilusang Mayo Uno. “Puro pagdurusa ang aming natatamasa. Ang mga manggagawang mahihirap, lalong humihirap samantalang ang mga kapitalistang mayayaman, lalong yumayaman,” said Marlou Maugan, a terminated worker from JFC. 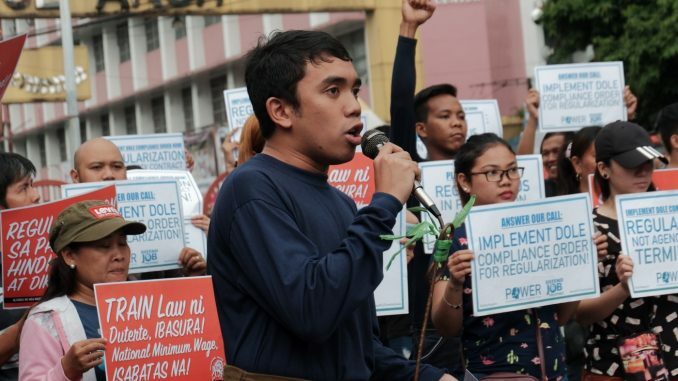 Protesters urged Malacañang and the Department of Labor and Employment to hasten the execution of the workers’ regularization status. 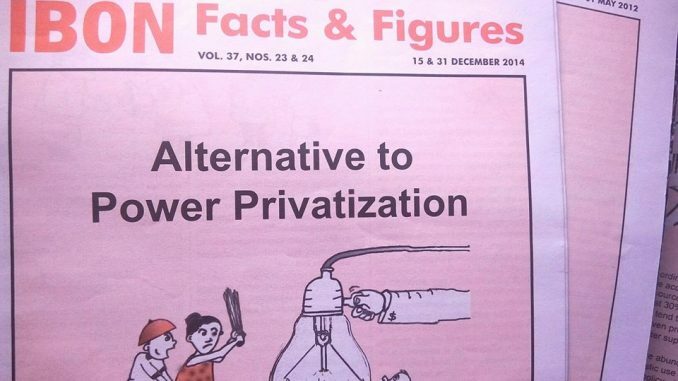 The DOLE scheduled a mandatory conference with PLDT on July 11, but PLDT’s representatives did not show up. Jollibee Foods Corp. tops the Department of Labor and Employment’s list of companies suspected to be practicing labor-only contracting, followed by Dole Philippines, Inc. Under several DOLE orders, labor-only contracting has been declared illegal. In the weeks following the labor department’s order to regularize its employees, the said companies terminated the contracts of the hiring agencies contractual workers are working under. The camp will culminate in the workers joining thousands of protesters during the ‘United People’s SONA’ on July 23 as Duterte delivers his third State of the Nation Address. The post PLDT, Jollibee workers hold ‘Black Friday’ protest vs contractulization appeared first on Manila Today.